Each year, we submit our new vintages for tastings in competitions. Our wines regularly receive awards from the greatest critics: Wine Enthusiast, Guide Hachette, Gault & Millau, Concours de Paris, Concours de Bordeaux, Vinalies nationales and internationales, Decanter, Mondial du Sauvignon, Gilbert et Gaillard. 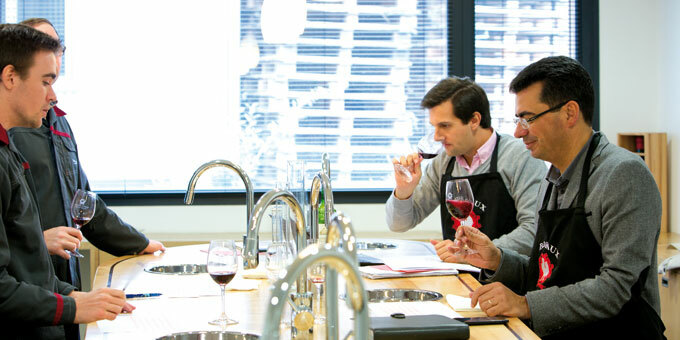 Numerous sensory analyses are performed regularly to ensure that the taste qualities of the product correspond perfectly to what is promised by the grape variety or the appellation: strict technical specifications, tests and controls of raw materials, tastings. With the standards IFS, BRC, ISO 22000, HACCP and Origine France Garantie. Commitment is total at each stage in production: from the vineyard through to bottling.